Have a good time, all of you! Actually two of my WiPs contain visits to Mekkah and Medinah – one has the title of “Dreaming of Medinah”. The other one – which I wrote about last week on my German language blog as both are unfortunately again in German – is at the point, where the two main characters, very different sisters, have gone to visit Medina and among the last sentences I wrote last Thursday was: Tomorrow, Mekkah. Not two hours later I got a phone call from the local Saudi Embassy and knew that this year, finally, I would be granted a visa for Hadj. Since then I am trying to concentrage, running in circles in order to remember all the essentials. Living in Jordan you have the choice to travel by plane or over land by bus. I had been thinking about flying rather, I am not getting any younger, but as the visa came late there are waiting lists for the flight tickets plus there is a considerable price difference … so I will take the long road and be able to really feel Medinah and then Mekkah coming closer and closer, inshaAllah. The above picture was taken by my husband on his last Umrah; I don’t think I will take many pictures, being too busy with more important things. Thank you for reading; if you like make dua for my Hadj being accepted and my safe return. Nothing much has been happening on this blog since too long time. My friends know this is mostly due to the fact that I started translating other authors’ books into German language – a work I love but a work that is also time consuming and often leaves me too tired to write a single sentence of my own. But today I got the opportunity to buy the domaine of this blog and then got the drive to make some changes in theme and header and added a galery – check it out, I put some of my Jordan pictures there. If I can manage I plan to redo some more here and then I hope slowly start filling better content. For those who love my pictures please go to my Jordan-blog, I try to publish the best fotographs there – also a blog that needs a new look, I think. Have you heard of The Good Book Shop? TGBS is part bookstore, outdoor cafe, co-work/study lounge, garden and cultural event venue. With its prime location right off Rainbow Street in downtown Jabal Amman, it is an urban getaway for book and coffee loving locals and expats alike. Don’t worry, you won’t get in any trouble for reading a book you haven’t purchased, it’s actually encouraged! So stop by, no matter your budget and just enjoy reading at TGBS. Is there anything better than a piping hot cup of coffee and a good book? At TGBS you can have both. 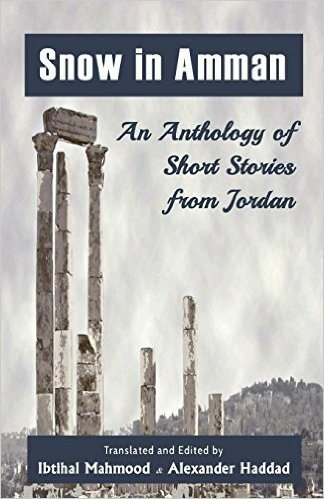 The collection — Snow in Amman — brings together nine short stories by a varied collection of writers: Samir al-Sharif, Basma el-Nsour, Ahmed Abu Hleiwa, Magdalene Abu el-Rub, Asmaa al-Mallah, Manal Hamdi, Musa Abu Rayash, Khalid Yousef Abu Tamaa, and Julnar Zain. In addition, there are two chapters from celebrated author Elias Farkouh’s novel Asrar Sa’at Al Raml, or Secrets of the Hourglass. The collection, brought out by Faraxa Publishing, was translated and edited by Ibtihal Mahmood and Alexander Haddad, and opens with an introduction by short-story writer Samir al-Sharif. As Arab Hyphen notes in her review, Jordan is not generally seen as a center of literary production, and this is one of the few Jordan-focused short-story collections available in English. I was very pleased when Diane De Bella chose one of my pieces for her anthology. Now it is available not only as ebook, but also in print. For me, reason to do some advertisement here, because I always doubted I could get anything published in english language. 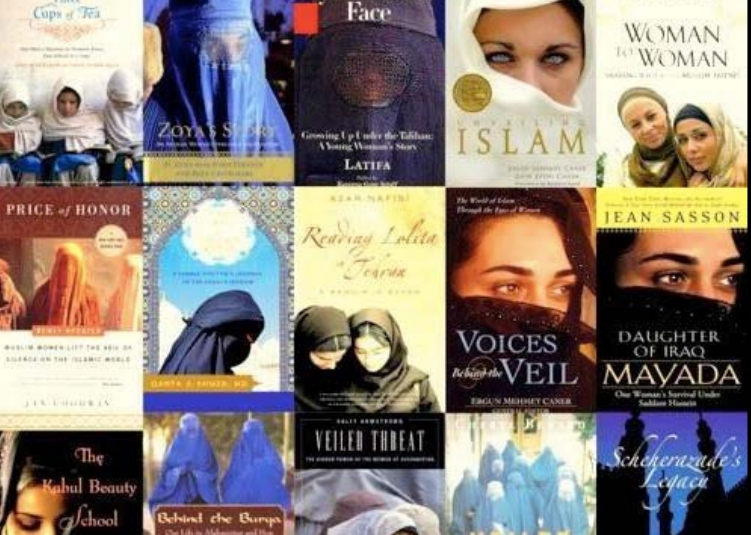 Why So Many ‘Saving Muslim Women’ Book Covers? It’s not only six-year-old children who prefer the taste of foods that are packaged with licensed cartoon characters; adults also perceive a difference in the taste of potato chips depending on the colors on the bag. Although it seems that similar studies haven’t been done on dust jackets, surely it’s a small leap to believe that the outside of a book affects, at least in some way, how we perceive the contents. rheinsberg on Bugs? – Bugs! alexp01 on Bugs? – Bugs!